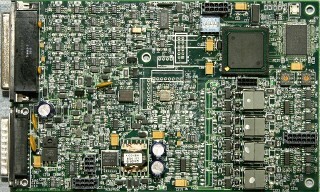 We have developed a hardware and software platform called NavDrive for embedded control systems. NavDrive has contributed to the success of several of our projects and we offer the hardware components for sale. We also provide the software part of NavDrive as Open Source under GNU Lesser General Public License. MPC555 - PowerPC with Floating Point, 2XTiming Processors, Queued Serial port.